This morning at a press event in San Francisco, Google held the second of what has now become an annual hardware event for the company, their Made by Google event. As with last year’s show, this year’s presentation showcased a mix of different devices and accessories from Google. However the most anticipated device for enthusiasts across the spectrum was without a doubt the next Google Pixel phones, which as expected made their introduction today as the Google Pixel 2 and Pixel 2 XL. Last year’s introduction of the Pixel phone family was a significant departure from tradition for Google. The company retired the Nexus lineup of aggressively priced mid-range/high-end phones in favor of what is best called Google’s take on what a flagship Android phone should be. 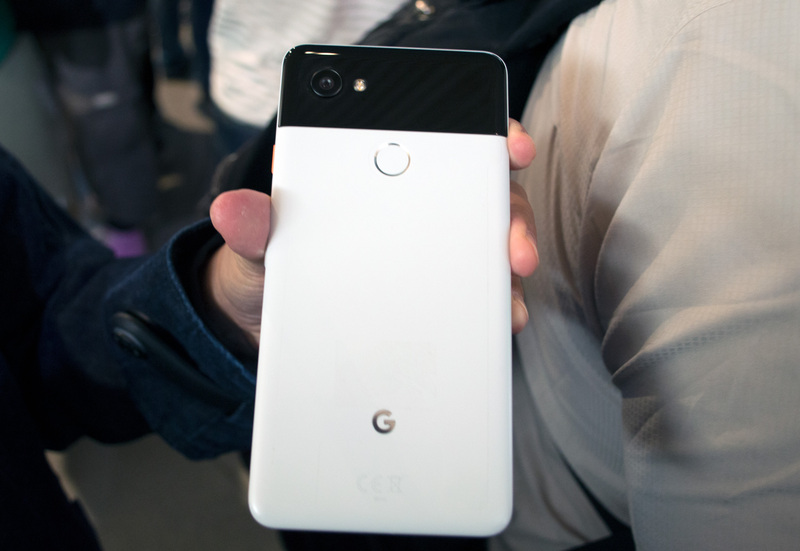 The Pixels had cutting-edge specifications and features; they also had a flagship price. 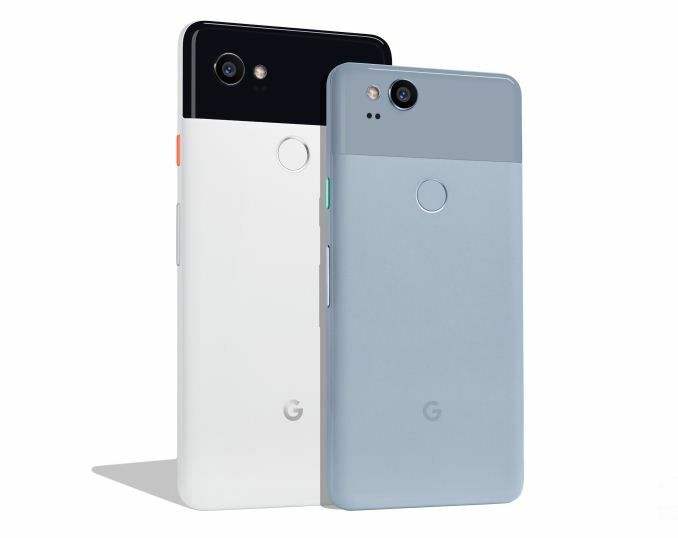 Depending on who you ask and what statistics you use, it can be argued just how much of the Android handset market that the Pixel phones actually captured – a situation not helped by the Pixel phones being so hard to get for a while – however what can’t be argued is that it had a definite impact on the expectations of the Android phone market. With the original Pixel phones, Google and its manufacturing partner HTC created a solid phone that was perhaps a bit derivative in design, but none the less had a unique aesthetic to it that helped to separate it from other flagship phones. The Pixel 2 phones, in turn, do not significantly rock the boat here. Instead they come off as a natural evolution of the original pixel phones. Under the hood, you’ll find all the bells and whistles you’d come to expect from a flagship smartphone in 2017. Google is using Qualcomm’s Snapdragon 835 SoC, which is paired with 4GB of LPDDR4x RAM. As with the first-generation Pixel phones, outside of screen resolution and battery size, both phones share the same internals; so we’re looking at the same storage, RAM, SoC, camera modules, etc. In other words, the Pixel 2 XL really is a larger version of the Pixel 2, rather than a technically superior version. That said, even within the limited confines of display and battery size changes, the phones do stand apart. The Pixel 2 retains its predecessor’s 5-inch 1080p AMOLED display. I didn’t get hands-on time with this phone, but I expect that it will have the same Pentile arrangement as its predecessor as well. Meanwhile the Pixel 2 XL gets a new, larger screen; instead of a 5.5-inch 1440p AMOLED, it’s now rocking a 6-inch 2880x1440 pOLED (Plastic OLED) display. Google is not discussing who is providing the pOLED display, but given LG’s recent actions in this space, I suspect they are the supplier. Regardless, the pOLED display does end up being a bit better than the Pixel 2’s display, offering 100% DCI-P3 coverage rather than 95%. Meanwhile new to the Pixel phone family, both phones now have always-on screens courtesy of their OLED displays. Google calls both of the OLED displays vivid, and that’s certainly the case for the Pixel 2 XL I got to spend some time with. Android’s color space management limitations are well-known, and I am eager to see if Google has done something to improve the situation on their own phones. On the literal flipside of the cameras is the Pixel 2 family’s 12.2MP camera. In terms of resolution this is very similar to last year’s phones, but this is clearly a new sensor. The pixel size is smaller, at 1.4um versus 1.55um, and the aperture is now f/1.8. Perhaps the single biggest technical change here is that after not including Optical Image Stabilization (OIS) in last year’s phones, the Pixel 2s now get OIS, and OIS can be used alongside EIS, which Google calls Fused Video Stabilization. 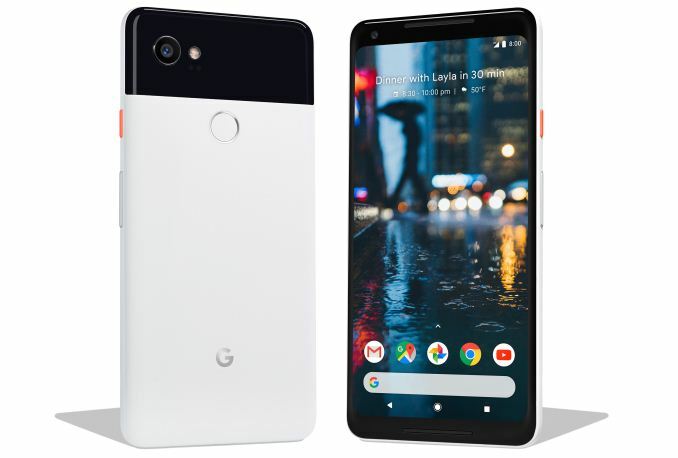 In terms of overall quality, one of the big focal points of the original Pixel phones was to have the highest quality smartphone camera on the market. And while the Pixel has since been surpassed, Google is continuing to pursue that direction with the Pixel 2. While DxOMark is not the sole arbitrator of camera quality, the record-setting score of 98 means that the Pixel 2 phones should be very competitive in the market, and that the Pixel 2 will be worth keeping an eye on. Speaking of cameras, Google has also added some computational photography features to the phones via a portrait mode. This is a particularly interesting development since the phones still only contain a single rear-facing camera. So Google is doing the necessary depth mapping without the benefit of a second camera and the parallax effect to isolate the foreground from the background. Google has been a major player in the computer vision space, and I’m very interested in seeing how well their tech works in practice, as Google is definitely taking the hard way towards portrait mode by going this route. On the plus side, because they don’t need two cameras, the front-facing camera can be used for portrait mode as well. Moving on, in terms of build quality, Google has taken a step up with the Pixel 2 phones. Both phones are now IP67 water and dust resistant, the latter in particular being a major improvement over the original Pixel’s much more limited IP53 resistance. Google’s one of the last flagship vendors to add this level of water resistance, but none the less it’s a welcome development. Overall the phones are just a bit larger than their original counterparts. 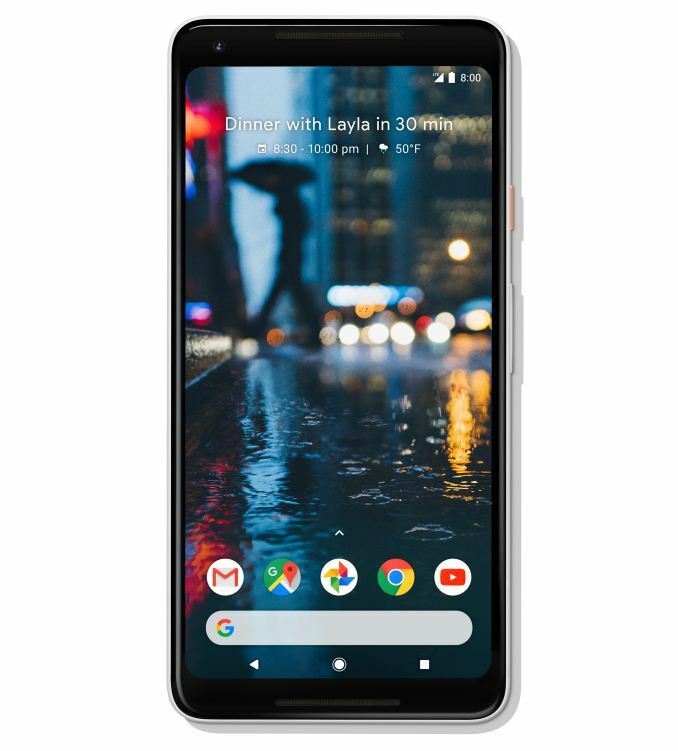 The Pixel 2 is a couple of mm taller and wider, and the same goes for the Pixel 2 XL as well, despite the taller 18:9 aspect ratio display. Also, after avoiding a camera hump on the original Pixels, there is now one present on the Pixel 2s (almost certainly a result of including OIS). Otherwise the aluminum body feels very similar to the original phones. In fact at just about every level, the Pixel 2 phones feel like the original Pixel. The 2 is not a radical design departure – nor does it need to be – so the whole thing feels very similar in-hand. If you were comfortable with a Pixel, you’ll likely be comfortable with a Pixel 2. Which isn’t to say that Google’s phone hasn’t learned some new tricks. Taking a page from HTC’s playbook (who I’m assuming is building the phone again), Google has added squeezing as an input action to the phone. Google calls this Active Edge, and it can be configured to invoke various actions. The default action, fittingly enough, activates Google Assistant, giving Google a dedicated non-voice action for Assistant without adding a button. Active Edge will even work with cases, including Google’s new Pixel 2 cases. Speaking of Google assistant, unsurprisingly, software is a big part of Google’s pitch with the Pixel 2 family. In fact the company was rather candid in their keynote that with the gradual slowing of Moore’s Law and general hardware development, they can’t release a radically different phone every single year. As a result the company has embarked on what they’re calling a Hardware + Software + AI focus for their products. This embodies the above hardware, numerous features offered by Google Assistant – including a suite of features coming over from or integrating with Google Home – and then the rest of the pure Android 8.0 Oreo software stack. Pixel users will also be getting a preview release of Google's Lens functionality later this year. Broadly speaking, Google is following a similar trend as other handset manufactures, moving from competing just on specifications to making a complete ecosystem/lifestyle play. Otherwise, despite an overall strong hardware configuration, hardware enthusiasts will likely come away disappointed with one thing: the loss of the 3.5mm audio jack. Google has removed the audio jack for the Pixel 2, similar to so many other phones in the last year. Instead users will need to use an adapter, USB-C headphones, or Bluetooth headphones. No doubt removing the jack helps with that IP67 waterproofing, but officially Google hasn’t said why the jack has been removed. Rounding out the experience, like the original Pixel, Verizon is once again Google’s exclusive carrier launch partner in the US, meaning they are the only carrier selling the phone. However as this is a global launch, Google is actually selling both Verizon and unlocked versions of the phones. So buyers will have the option of going to other carriers, with a bit more effort. Finally, the Pixel 2 phones will begin shipping on October 17th, with pre-orders starting immediately. The Pixel 2 is being priced at $649 for a 64GB model, while the Pixel 2 XL will go for $849 for the same capacity. For another $100, both phones can be upgraded to 128GB of storage. So they make fun of apple for removing the headphone jack, and than go and remove it themselves a year later? This, to me, shows a lack of confidence in their own product, Which isn't likely to attract me as a consumer. And look at the price for those adapters. The logic of "People will buy Android iPhone clones at iPhone prices instead of the real thing" is baffling in a funny way. They actually are trying to charge more $850 pixel 2 xl vs $800 iPhone 8 Plus.